Somewhere on this planet, at any given time, human beings are at war. What can we do? How can we contribute our voices? 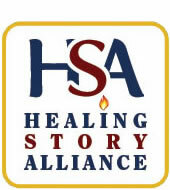 As storytellers, we have an exceptional tool for helping to promote tolerance and understanding. It has been said that you can’t hate people once you’ve heard their stories. Whether or not that is precisely true, we may certainly find it more difficult to dehumanize and dismiss them. Many storytellers throughout the world devote much of their repertoire to stories of peace and reconciliation. Often, these stories are catalysts for discussion and personal or group transformation.